X-rays was first introduced about 120 years ago. 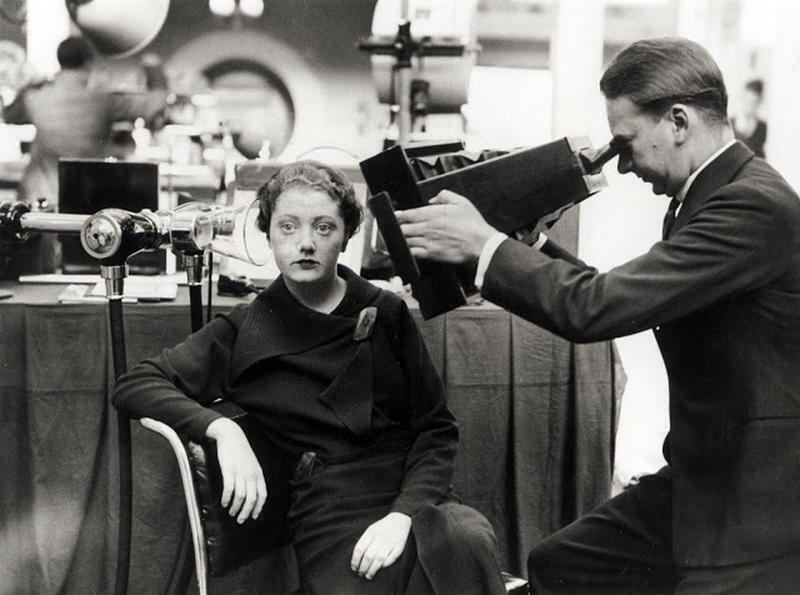 It was still considered dangerous back then, but despite the danger, the judicious use of X-rays allowed great medical progress in diagnosis and treatment alike — not to mention numerous non-medical uses. 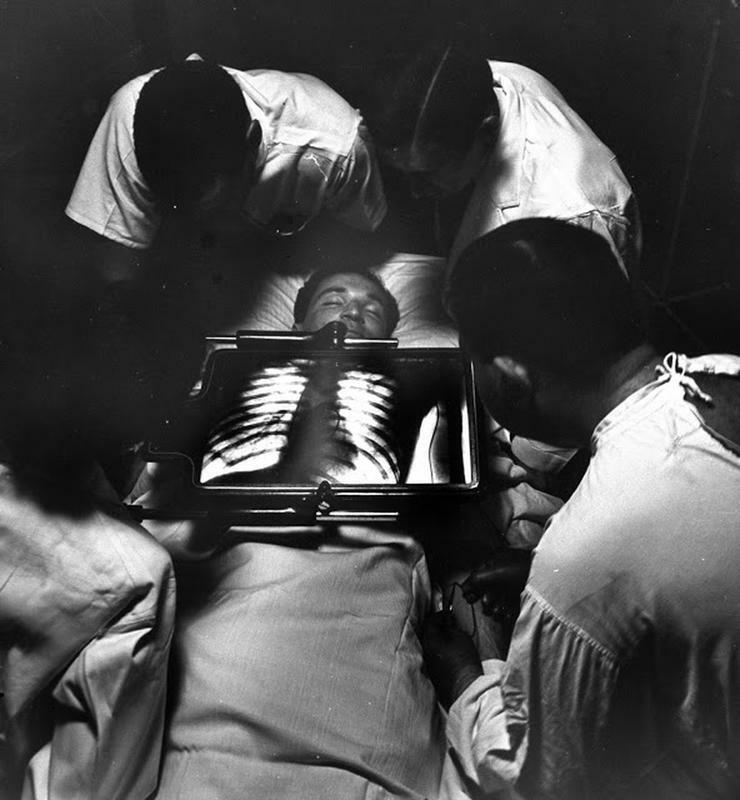 Here are 15 vintage images of X-rays at work over the decades. 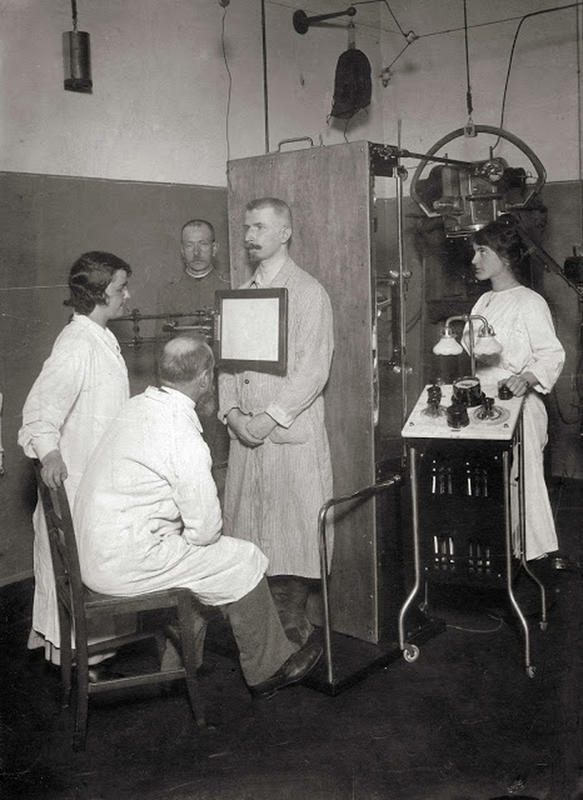 A man receiving an x-ray in Austria, circa 1910. 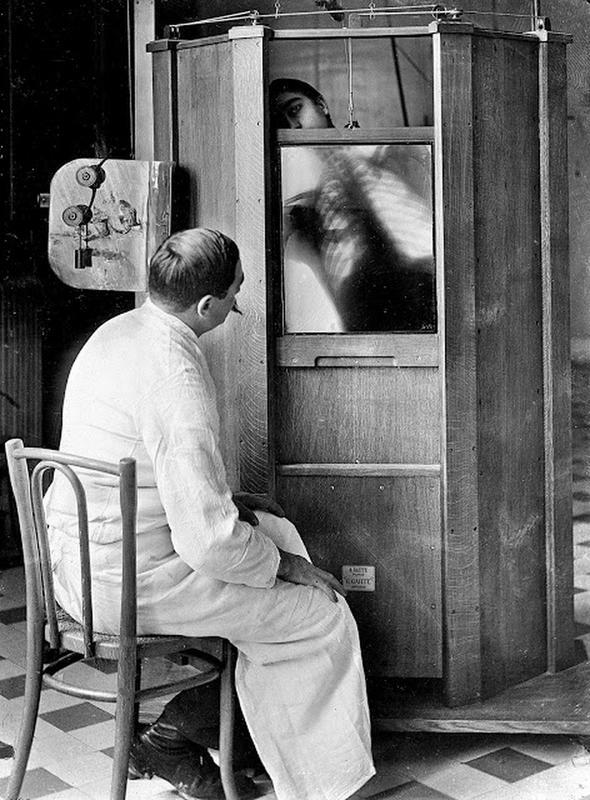 A chest X-ray in progress at Professor Menard's radiology department at the Cochin hospital, Paris, 1914. 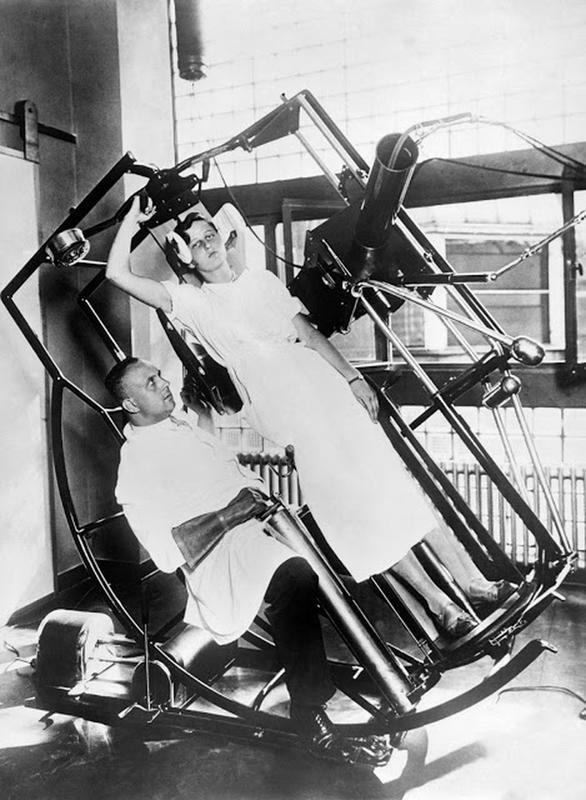 One of the advanced wonders at the Roentgen Institute, the modern Roentgen 'look through' machine, which prevents any injury to the treating physician, Frankfurt, Germany, circa 1929. 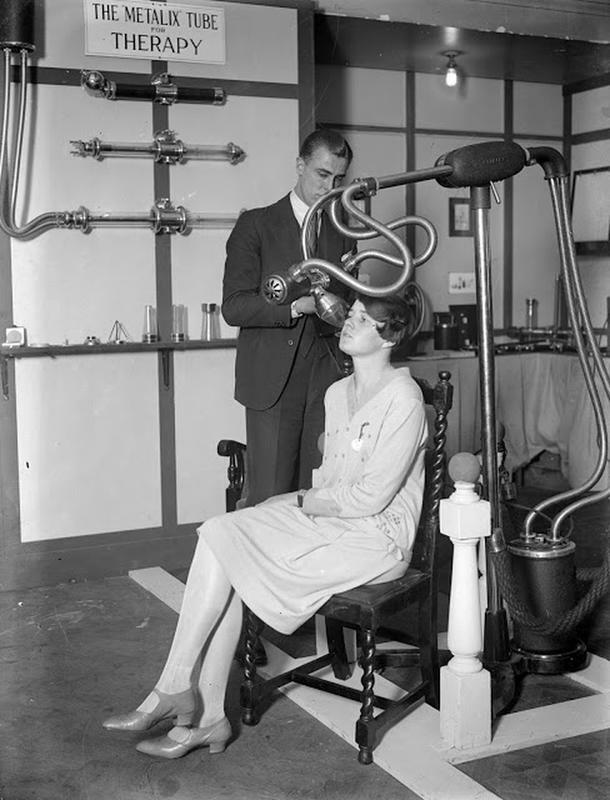 A man and a woman demonstrating medical equipment at a X-ray exhibition, beside a sign reading 'The Metalix Tube for Therapy,' 1928. 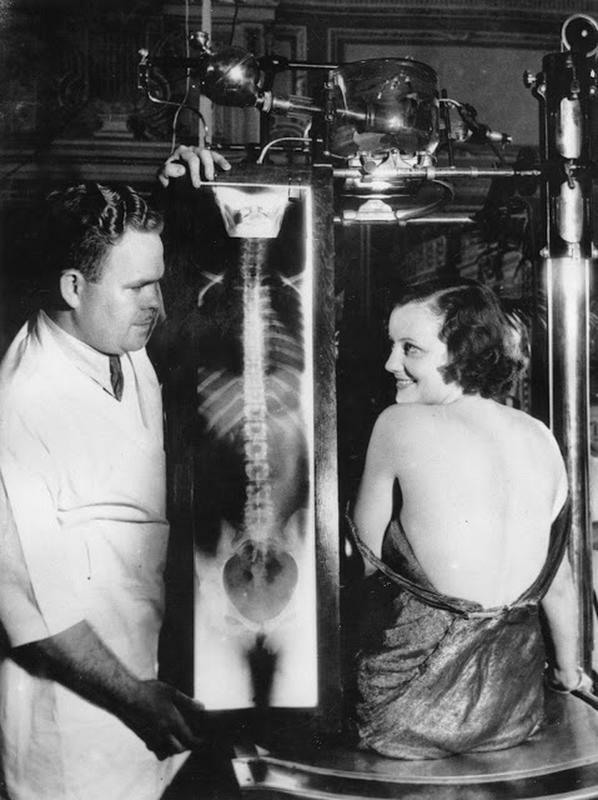 An x-ray demonstration with the latest x-ray apparatus. London. 1932. 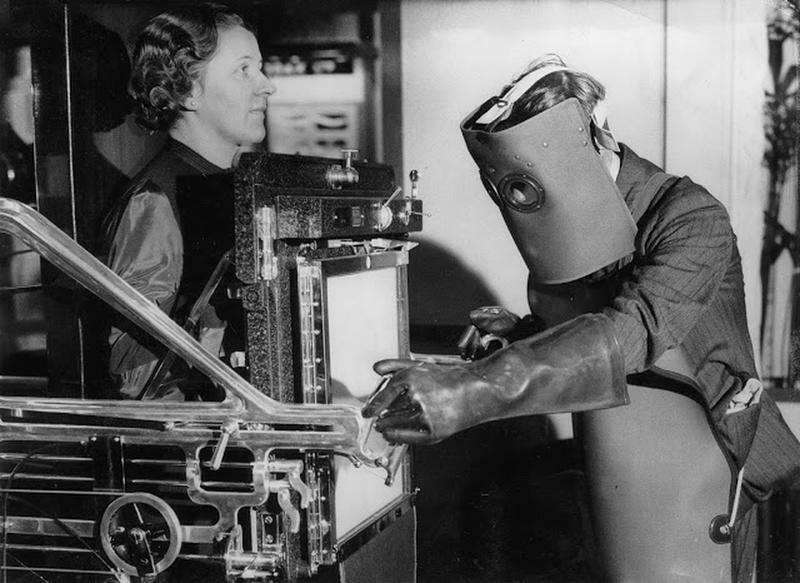 The latest X-ray apparatus being operated by an radiologist wearing the old-type protectors which are no longer necessary with modern apparatus. Radiological exhibition. Central Hall. Westminster, 1934. 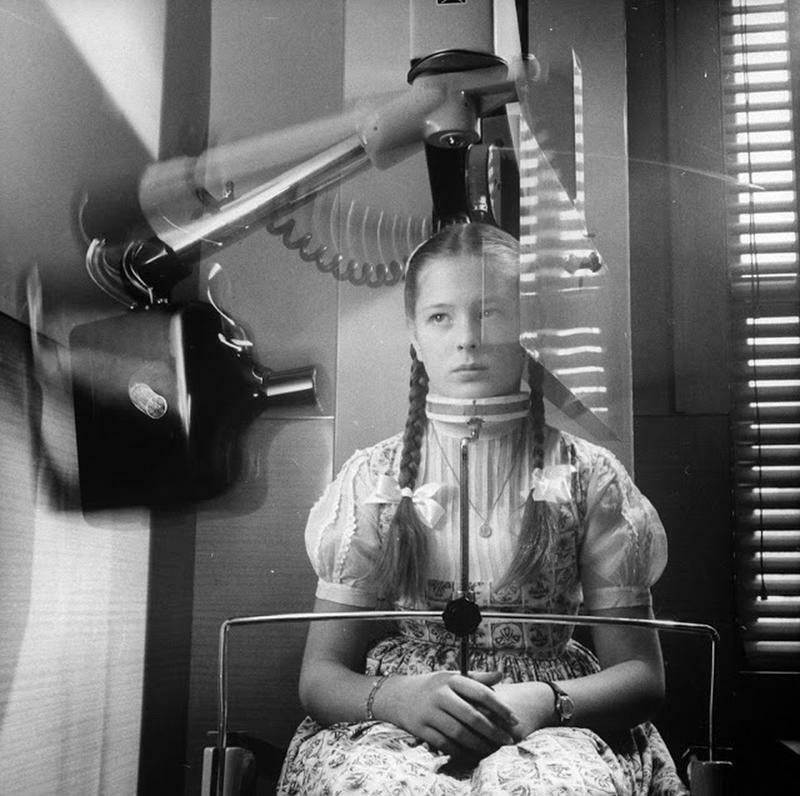 A woman having her head x-rayed with the new shock-proof apparatus at the London Medical Exhibition, Royal Horticultural Hall. The apparatus, which is designed for the consulting room, is simple to use as it can be plugged in to any domestic lighting point'. 1934. 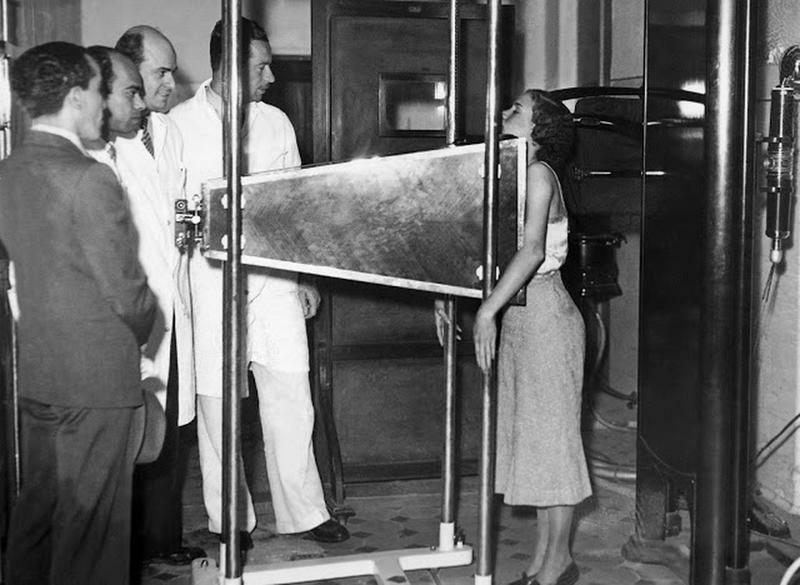 In October 1937 in Rio de Janeiro, a radiograph invented by Professor physicist Moraes De Abreu to detect lung diseases, called Roentgen-Photographie was used on a patient. 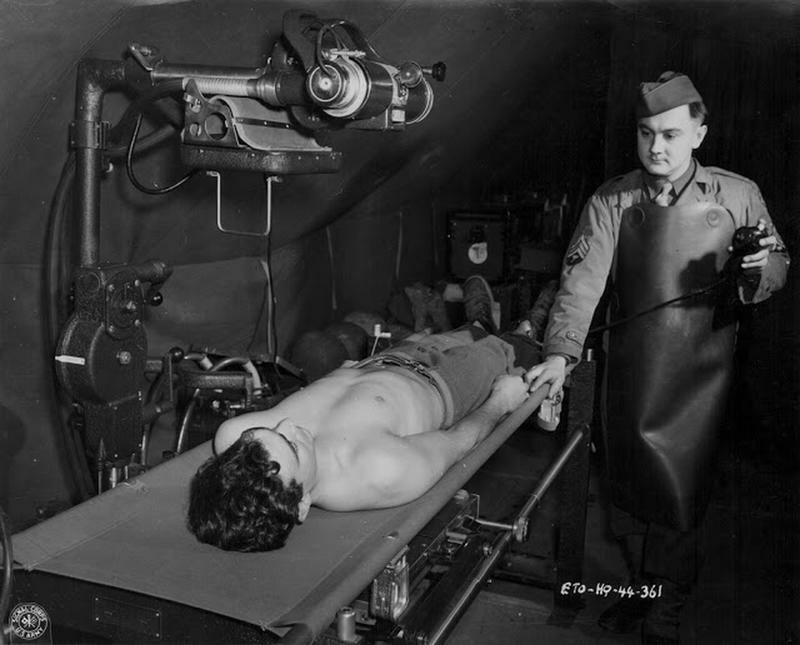 An x-ray technician with the US Medical Corps tending to a wounded soldier during World War Two, circa 1941-1945. 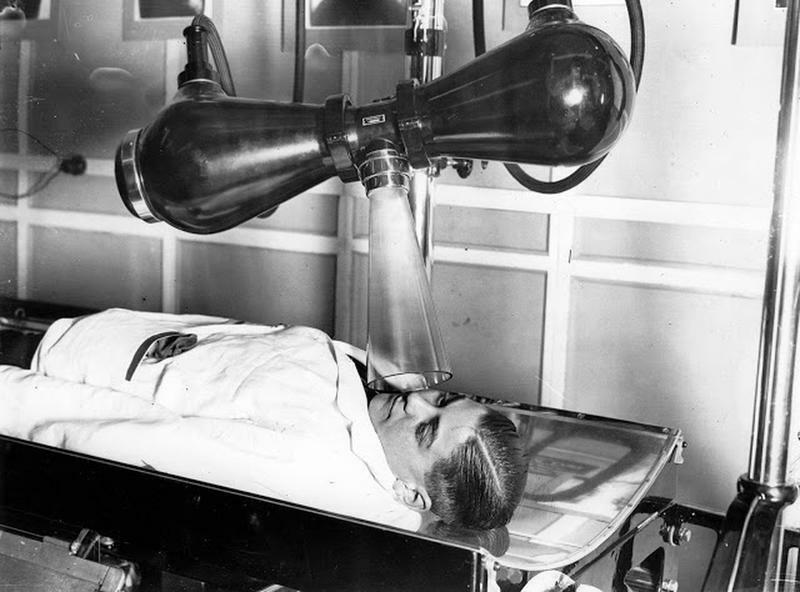 Doctors using x-ray machine to feed venous catherter into patient's heart, 1947. 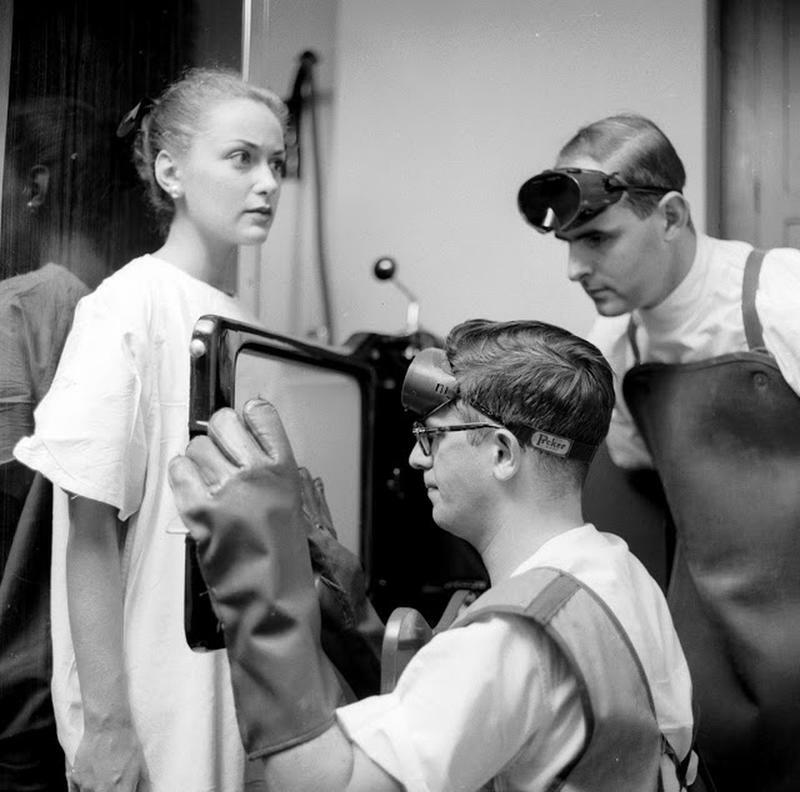 Small child being given chest x-ray at Chelsea Chest Clinic, 1949. X-ray machine, at the California dental association exhibit, California state fair, 1953. A desperate patient who has hiccups is x-rayed at the Flower-Fifth hospital Hospital in New York, 1955. 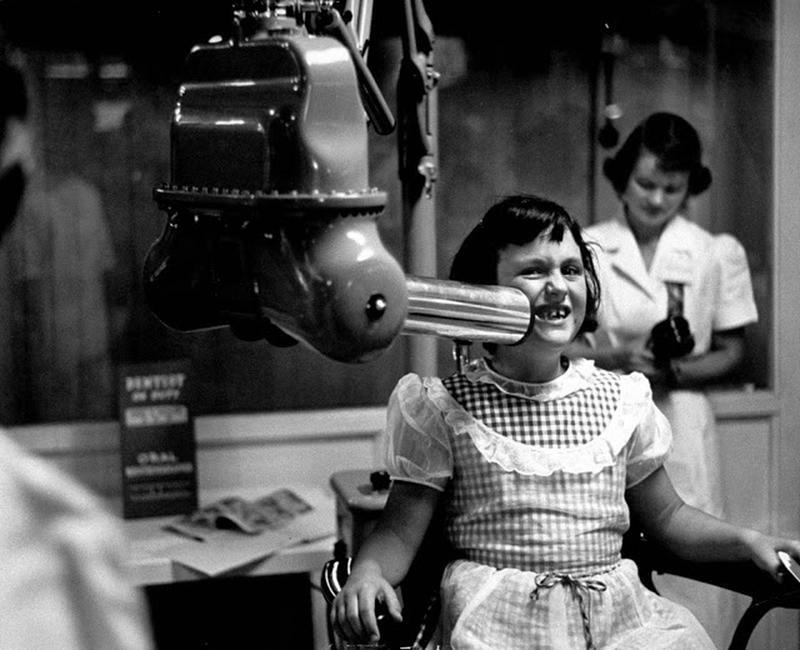 X-ray machine which circles head to take panoramic picture of teeth, eliminating usual mouthful of film, 1960.